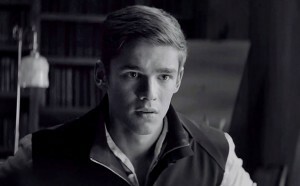 In 1993, Lois Lowry released her now famous Newbery Medal winning novel, “The Giver.” It earned its way on to many middle-school readings lists and sold millions of copies and now twenty-one years later, has been adapted for the big screen. The story about the power of individuality and the relationship between pleasure and pain will be directed by Phillip Noyce. The major problem with this adaptation is that it never really feels like it’s taking off. Its the films pacing that takes away the power of this movie. You are constantly in first gear, ready to pop into second, and when you finally do get up enough momentum, it’s only minutes before the credits roll. When it gets going, it’s too late and the whole film just kind of goes by. The ninety-something minute film seemed to drag and had me checking my watch, wondering why time was moving so slow. The movie does have its heart in the right place and offers some good messages, but at times it feels like they are beating you over the head with it. Especially, with similar films such as “The Hunger Games” or “Divergent” is it quite hard to find this film’s messages as fresh or relevant. Though, the 1993 book may have come way before the books and film adaptations mentioned above, the movie seems a bit late to the race. This of course makes the movie seem tired, unoriginal, and most of all it felt careless. The best part of “The Giver” is when seasoned actors, Bridges and Streep, finally go head to head, well sort of. Bridges pleads with Streep to see the power of love and to have faith in humanity. Though this is the best scene the movie has to offer, I must say it is the only scene I felt invested in. A major flaw in this sci-fi film is that I didn’t care about the main characters, Thwaites especially. When a main character isn’t interesting or moving enough to intrigue the audience, chances are the movie is dead upon arrival. “The Giver” does have a good message to share with the world, too bad a handful of movies have shared the same message, only better. Even Bridges and Streep aren’t enough to save this bland movie, leaving me thinking what I would give not to have to sit through this movie ever again.